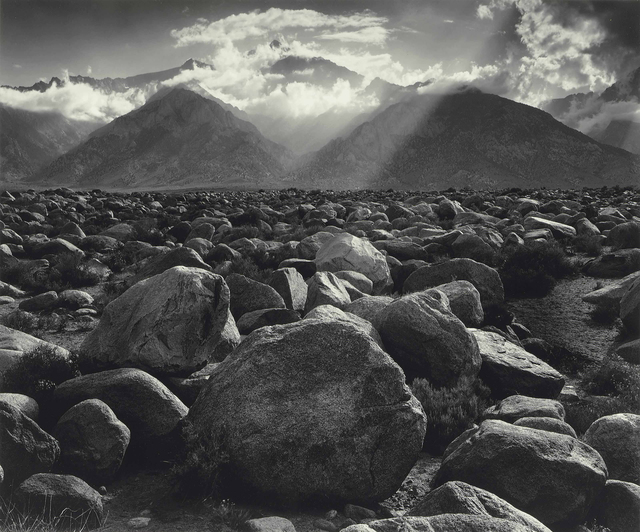 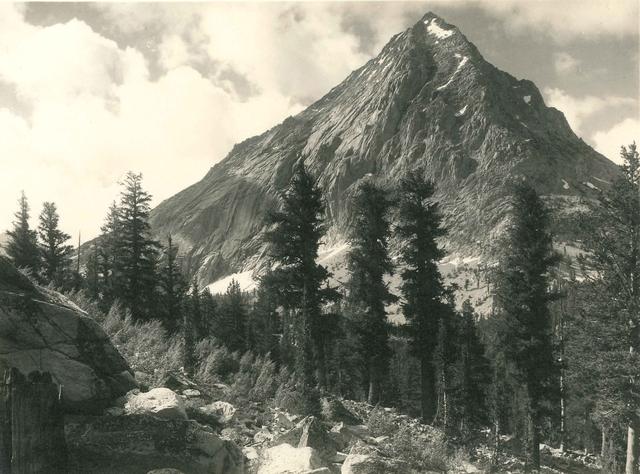 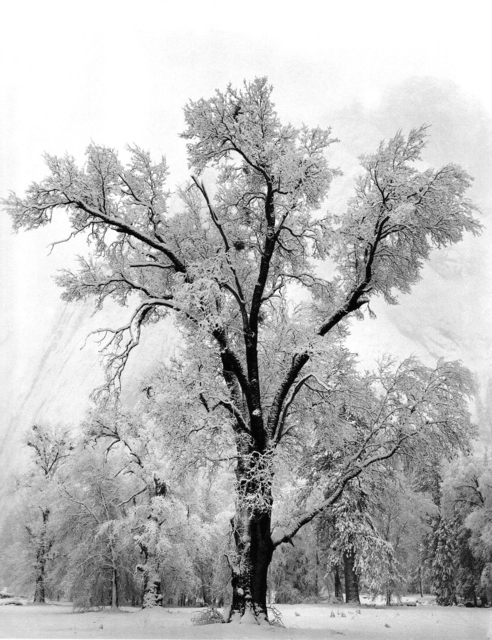 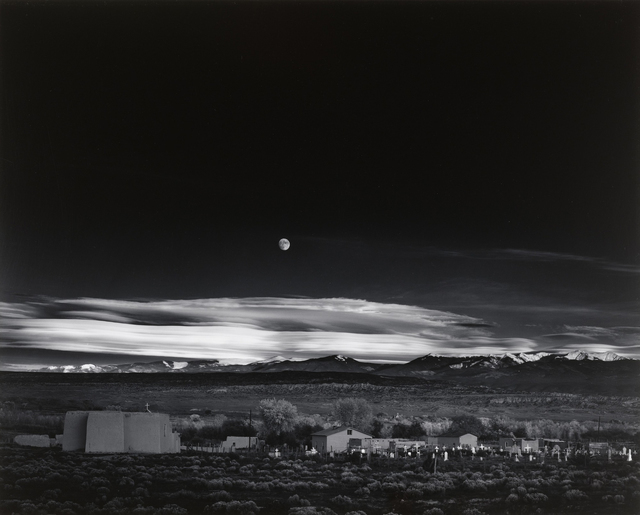 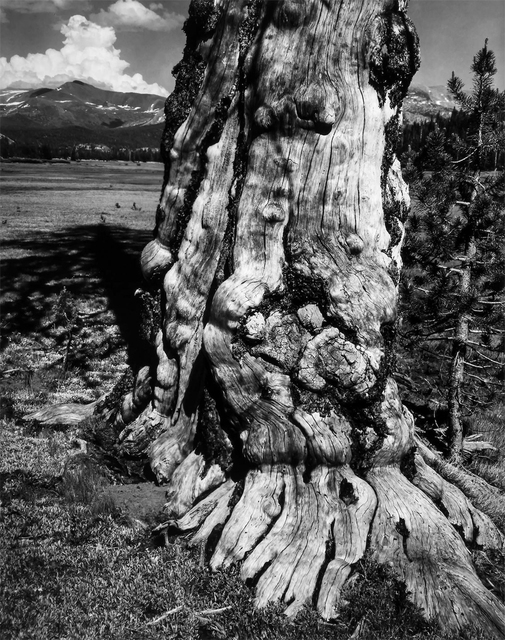 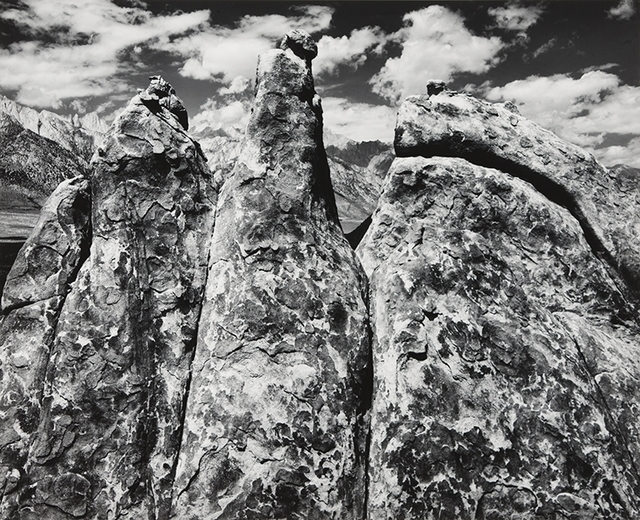 Atlas Gallery is delighted to present Ansel Adams: Landscapes of the American West, an exhibition of works by the celebrated landscape photographer and environmental activist. 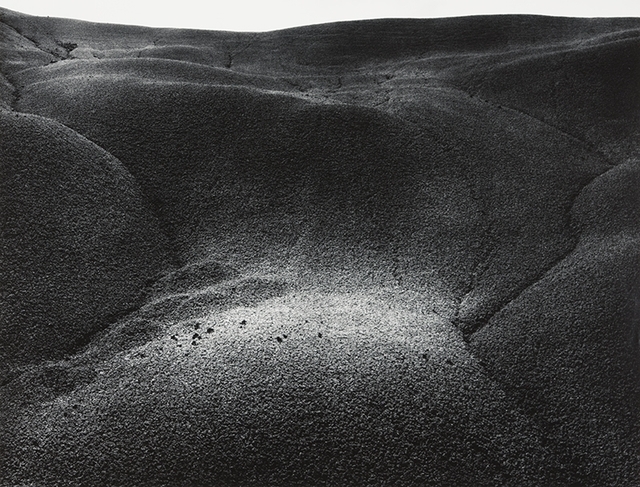 Adams grew up in San Francisco amid the sand dunes beyond the Golden Gate. 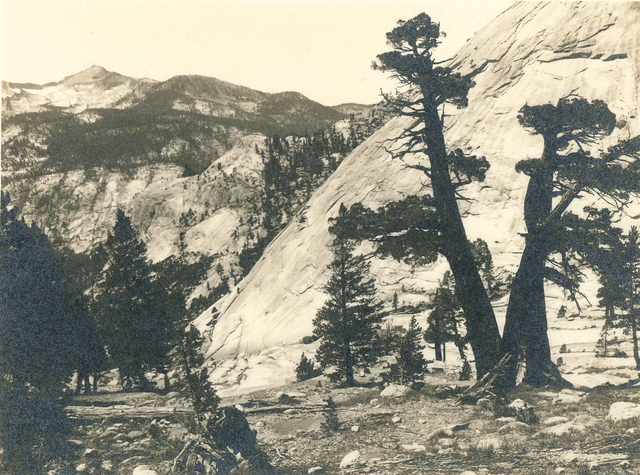 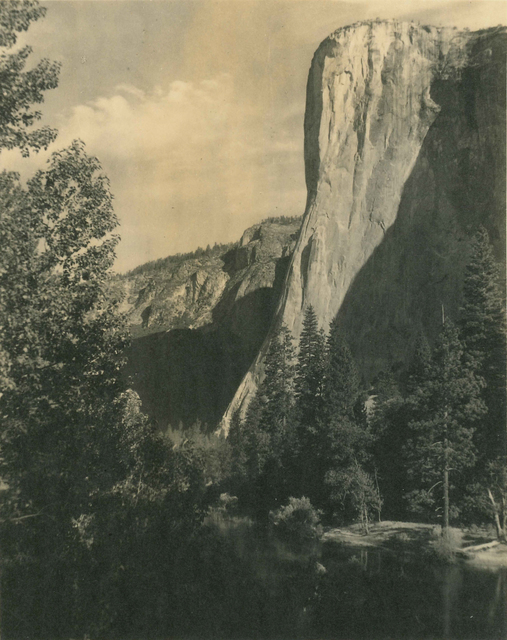 From an early age he fell in love with the landscape around him; his life ‘coloured and modulated by the great earth gesture of the Yosemite Sierra’. 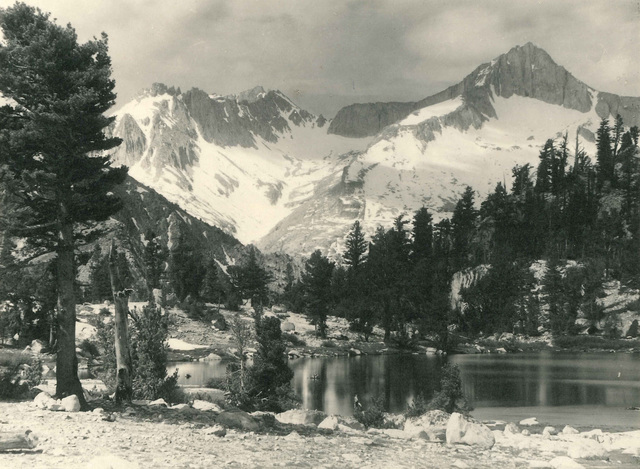 For Adams the wilderness was one of great depth, ‘a mystique: a valid, intangible, non-materialistic experience’. 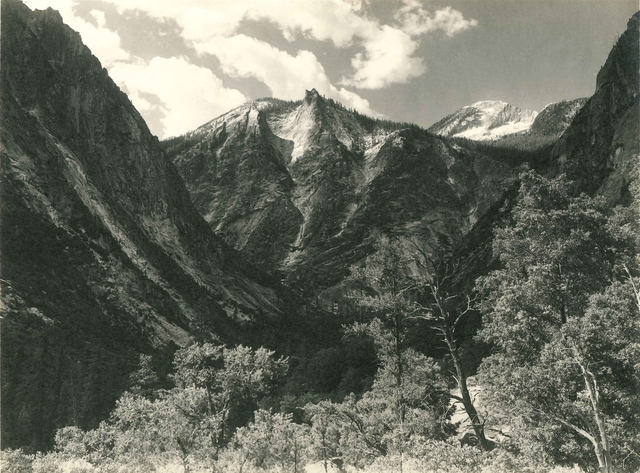 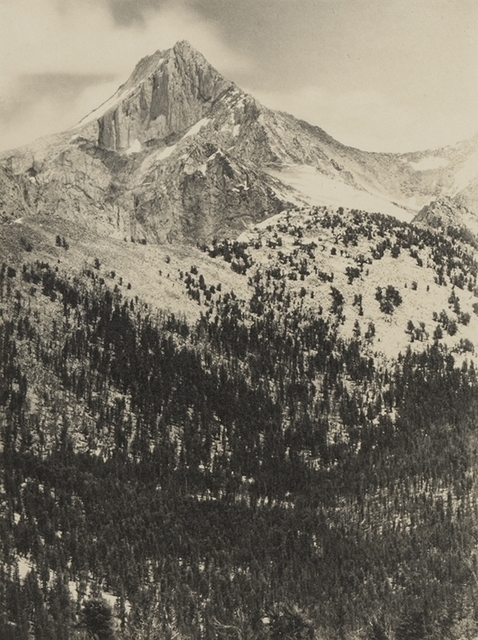 His connection to Yosemite lasted his whole life, frequently returning to explore and photograph the valley and led him to become a member (and president) of environmental organisation the Sierra Club, which eventually led him to lobby for the creation of the foundation of King’s Canyon National Park in Sierra Nevada. 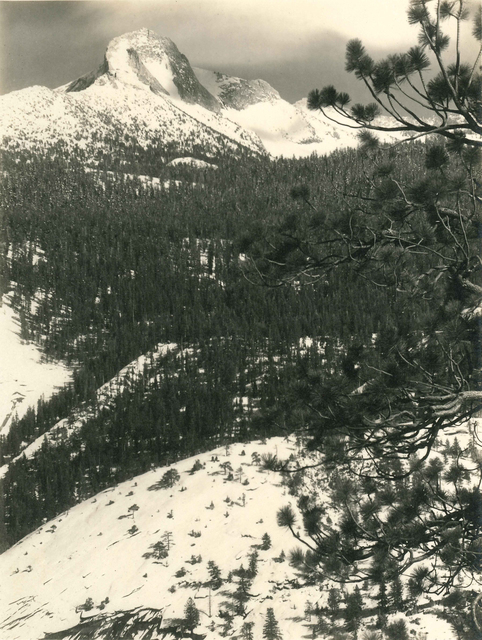 A particularly difficult area of the landscape to photograph on bright days, is the grey rise of the Sierra Landscape as it blends with the sky. Taken whilst a storm raged in the mountains, Adams was able to use the conditions to accentuate the ‘shapes and planes hitherto unseen’. 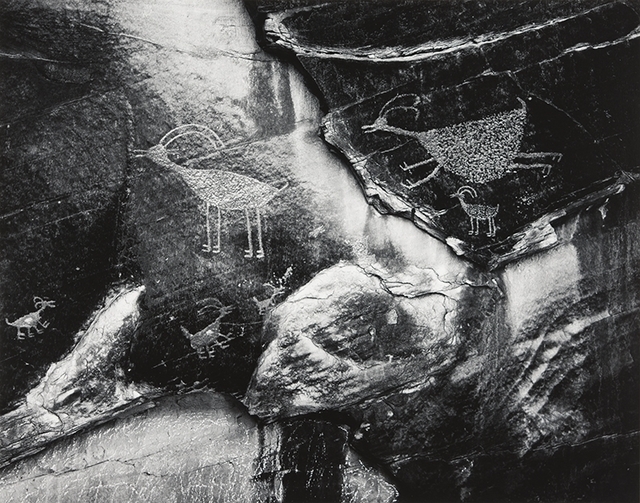 Working with Fred Archer, Adams development of the Zone System allowed him to gain more control over a finished photograph by translating tonal variations into different shades of grey in black and white photographs on negatives and paper. 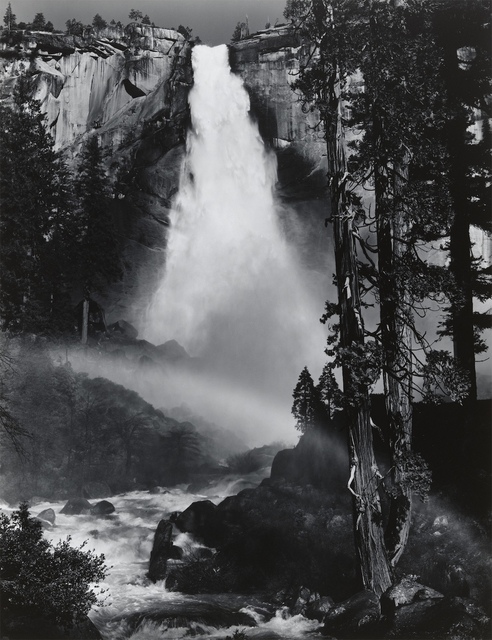 Adams’ concept of ‘Visualisation’ was also fundamental in the development of his original and personal aesthetic - seeing the entire image in its spiritual, emotional and intellectual aspects - before shooting. 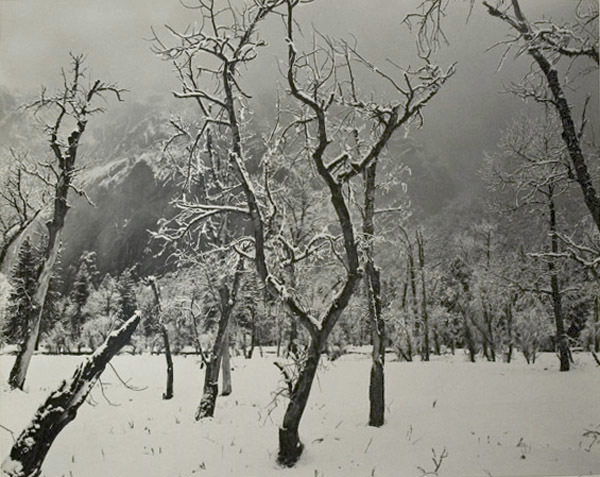 Aspens, Northern New Mexico, 1958, (left). 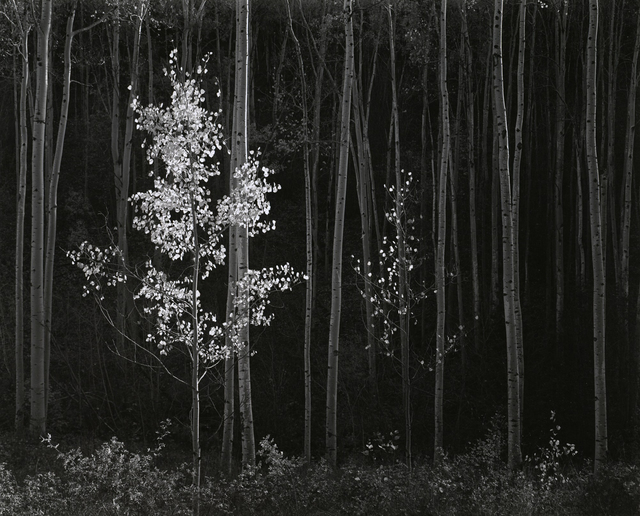 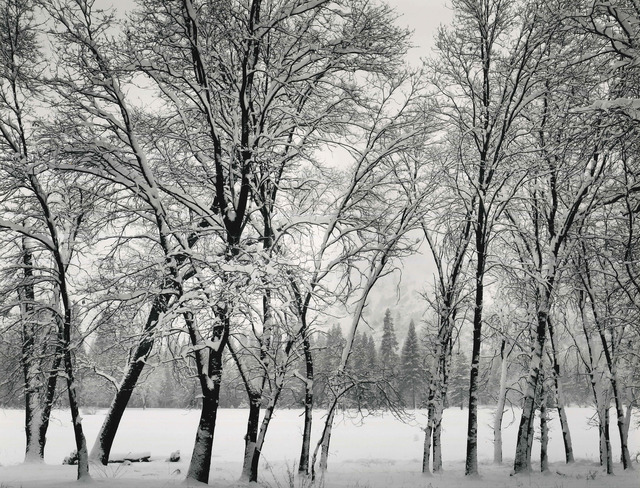 One of two images, this photograph was taken in the mountains north of Santa Fe where Adams ‘came across a stand of young aspen trees in mellow gold…in the shadow of the mountains.’ With a strong visualisation of the image, informed by the place, mood, hour and time of day as ‘the light was cool and quiet and no wind was stirring’, He was able to heighten the contrast of the glittery autumn yellow leaves lit from the banks and brilliants clouds to create a haunting image. 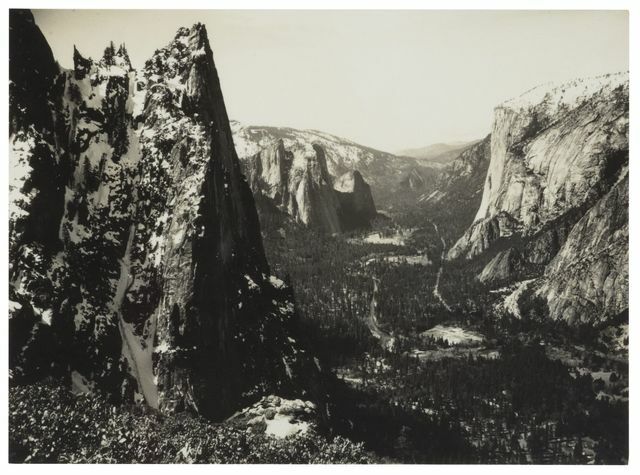 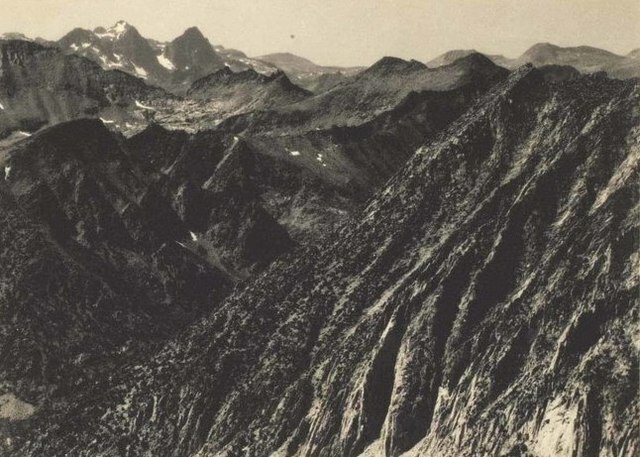 Adams love for the wilderness kept him returning to photograph California. 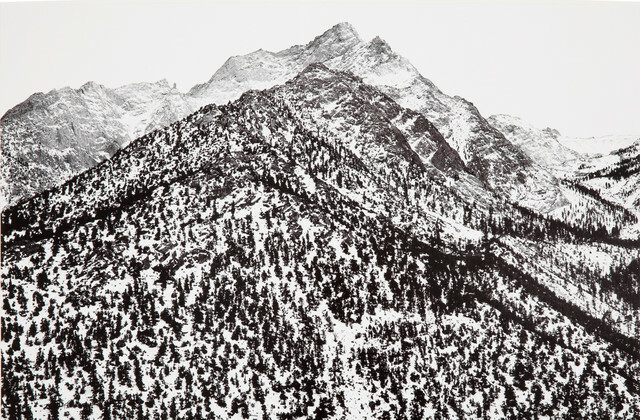 As Ben Burdett, Director, Atlas Gallery says: ‘In order to fully appreciate Adams work you have to see his images in the flesh; his work is technically brilliant from the creation of his photographs to its production and printing. 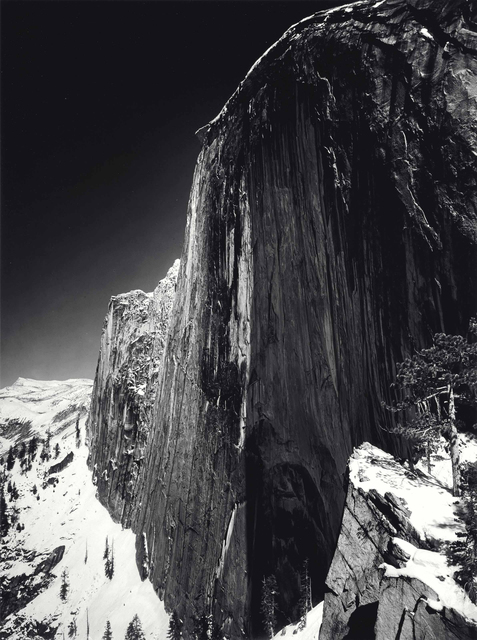 Adams is a master in every aspect of photography." 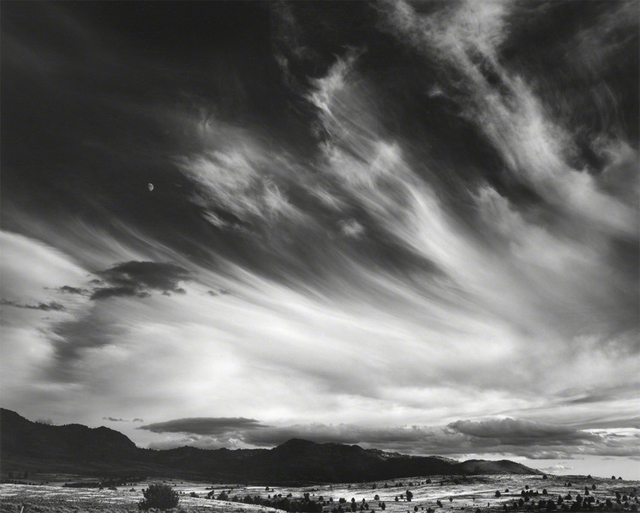 The landscapes now serve as records to the immense beauty of the regions he has photographed; inspiring artists to serve the interests of the environment and a timely reminder of our collective responsibility to look after our planet.